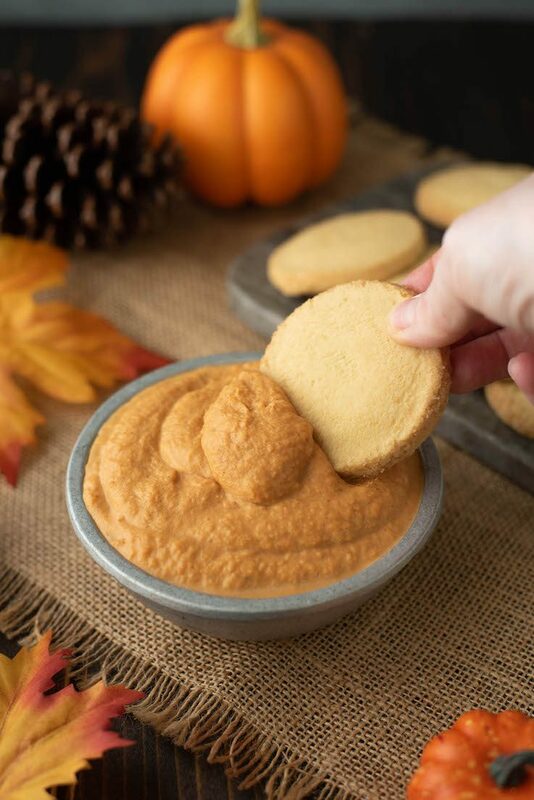 This year, everyone’s favorite pumpkin pie is deconstructed and transformed into a dip with shortbread dippers. The shortbread acts like the crust for this easy Thanksgiving dessert. For Thanksgiving, I always make my desserts the day before because, well, there is so much going on the kitchen it’s always a good idea to make what you can ahead. In the case of this dessert, it can be made ahead AND there’s no cooking or baking involved. 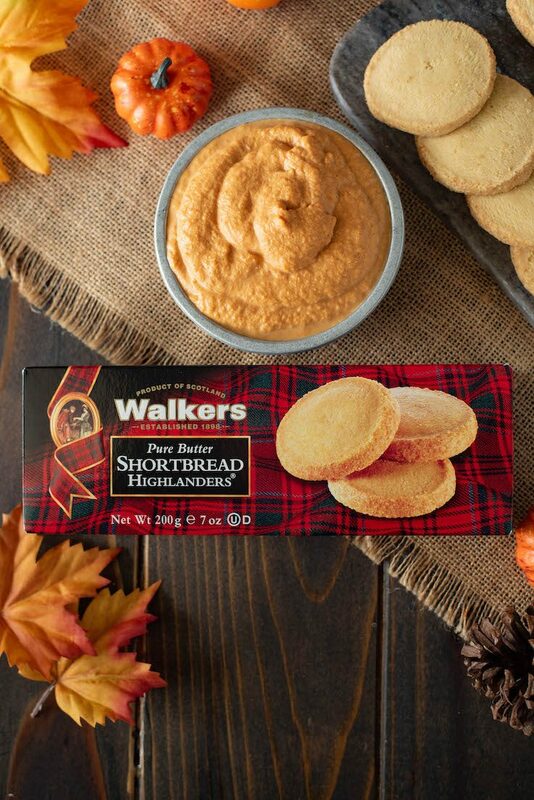 Walkers Shortbread is the perfect vessel for this dip. 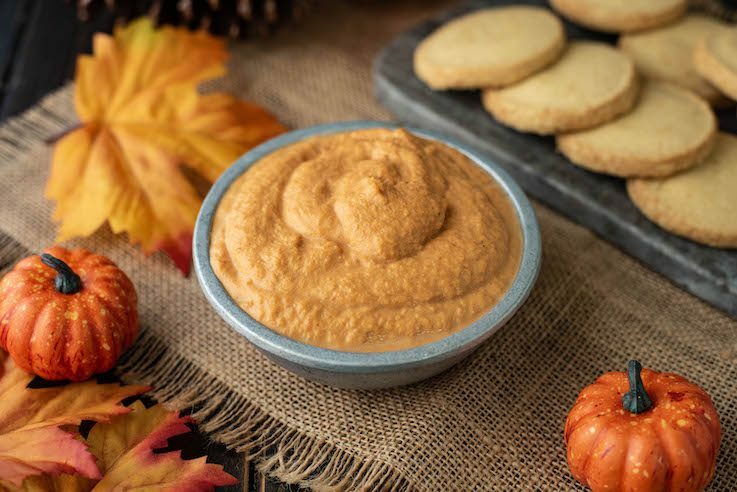 The dip is a classic pumpkin pie filling that does not have eggs and has not been baked with added whipped cream to make it light and fluffy. The shortbread provides the buttery crunch you normally get from a pie crust in the form of a whole cookie. During the holidays, we always had an abundance of Walkers Shortbread around at all times. Walkers Shortbread has been making the finest and most well-known shortbread since 1898. Everyone knows their iconic tartan packaging which is synonymous with their Scottish roots. 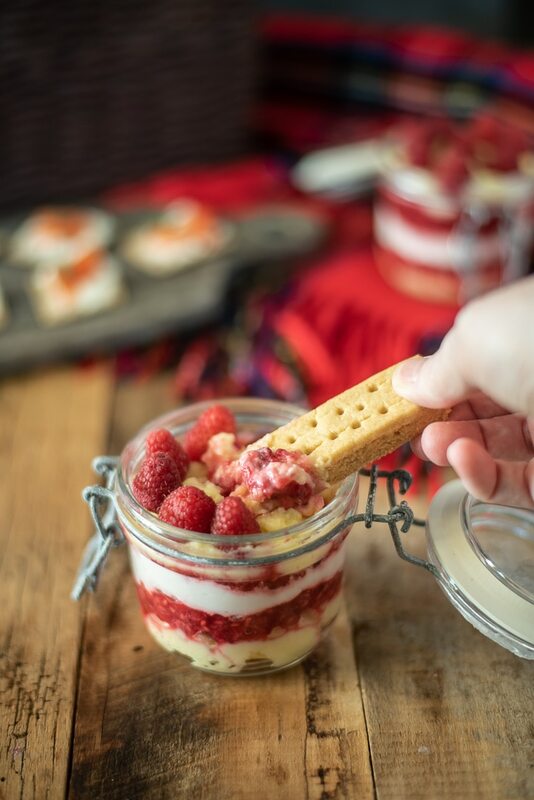 Their shortbread is made with only 4 simple, natural ingredients: flour, butter, sugar and salt and is also baked with no genetically modified ingredients, artificial colors, flavors, preservatives or hydrogenated fats. Being 100% vegetarian; no animal fats are used in any of Walkers’ recipes – this is a shortbread that I can stand behind. The highlanders are perfect for scooping up this dip – the mini fingers and rounds are also a great option. When I offered my husband a bite as a taste test for this dip (it’s always good to have a second opinion) his eyes lit up and said, “This dip tastes just like the pie.” – My job is done. What I love most about this dip is, there is no baking involved. The dip can be served chilled or at room temperature and leftovers (if there is any) keep well refrigerated for up to 4 days. 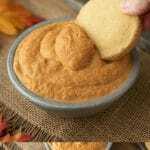 Pumpkin pie filling made into a dip for shortbread cookies.